Ahead of the forthcoming general elections, an Nsukka-based support group for Governor Ifeanyi Ugwuanyi of Enugu State, Project 2019 and Beyond for Gburugburu, yesterday launched its first chapter outside the shores of Nsukka, at Aninri Local Government Area, as jubilant people of the agrarian council, led by Senator Ike Ekweremadu reiterated their unflinching support for the governor's re-election in March. 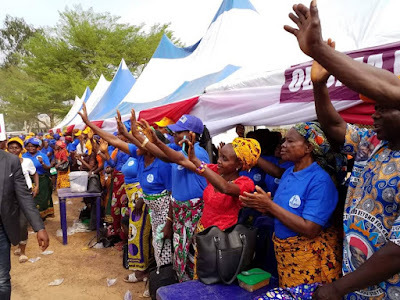 Speaking, the founder of Project 2019 and Beyond for Gburugburu, Chief Patrick Omeje, jnr, (who led hundreds of its members from Nsukka to grace the colourful occasion) and the Director-General of the newly inaugurated chapter in Aninri LGA, Mrs. Amaka Alinta Oriaku, applauded Gov. Ugwuanyi's giant strides in the state and reassured the governor of their firm commitment to his re-election. 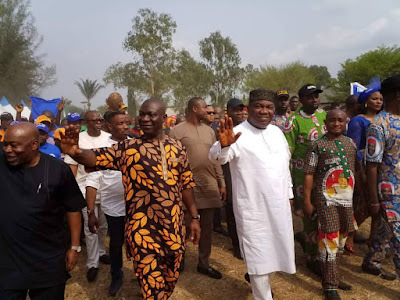 Other speakers, such as the Senator Ekweremadu, who is the Enugu West Senatorial zone candidate of the Peoples Democratic Party (PDP), the member representing Aninri/Awgu/Oji-River Federal Constituency and the PDP candidate for the seat, Rt. Hon. Toby Okechukwu, the Chairman of the Council, Hon. Ezekiel Chukwu and the Party candidate for Aninri Constituency, Chinedu Otaka, among others, congratulated Gov. Ugwuanyi for his recent well-deserved awards by leading national dailies as their Governor of the Year for his accomplishments and uncommon leadership style. They told him not to bother coming to Aninri LGA to campaign as they will give him their 100 percent votes. They appreciated the vision behind the export of the support group from Nsukka to Aninri, stressing that it goes a long way to prove that Gov. 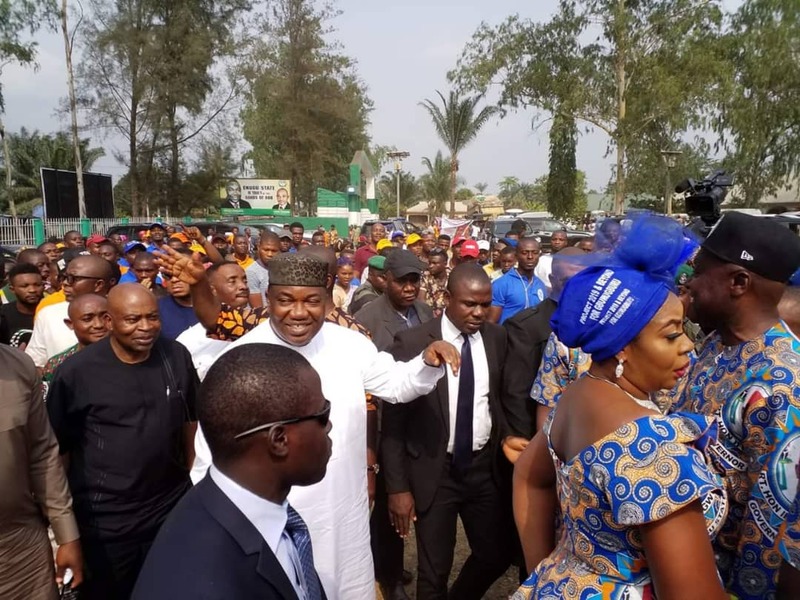 Ugwuanyi is the most popular and acceptable leader in the history of Enugu State.